According to Geek Tyrant, Oliver Stone (director of Platoon and JFK and co-writer of Conan the Barbarian along with a lot of other movies) is in discussion with Vincent Bugliosi to film a new adaptation of Helter Skelter. This would be the third movie to be based on the book that Bugliosi wrote about the Charles Manson murders, of which Bugliosi served as prosecuting attorney. 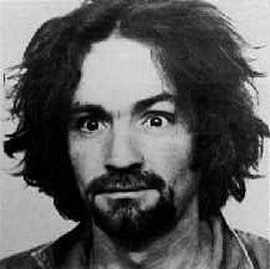 The first was a two-part television movie in 1976 that starred Steve Railsback as Manson: a portrayal that is even now regarded as the most hypnotic and terrifying of the true crime genre. Indeed, everything about 1976's Helter Skelter still holds up surprisingly well as a film about one of the most bizarre crimes in American history. The second was a 2004 two-hour TV movie that I didn't care much for, although it did have Jeremy Davies (Daniel from Lost) as Manson. I am going to definitely keep an eye on this one. I've read Helter Skelter at least a dozen times over the years and if Stone is faithful to the book, this could be a hella gory feast for the senses.